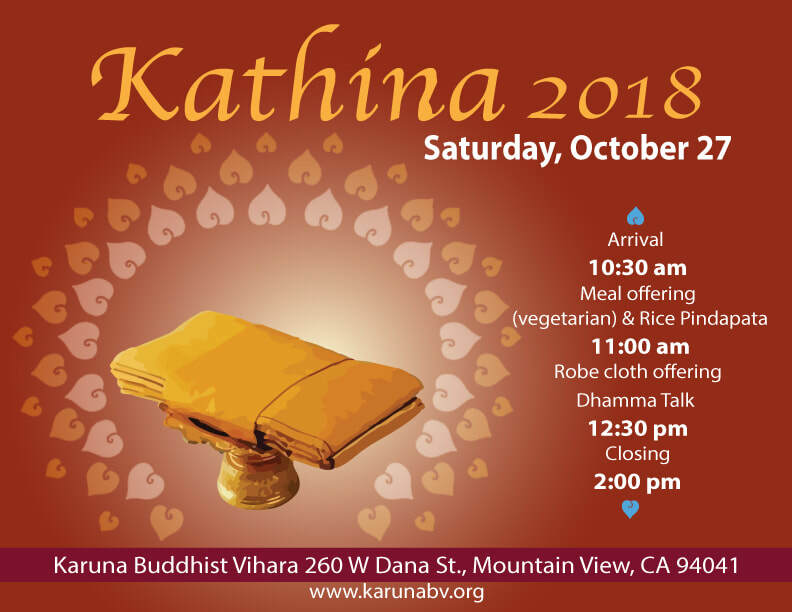 This is the third official kathina to be offered at Karuna Buddhist Vihara and we are delighted to have several monastics from different monasteries join us for the celebration. 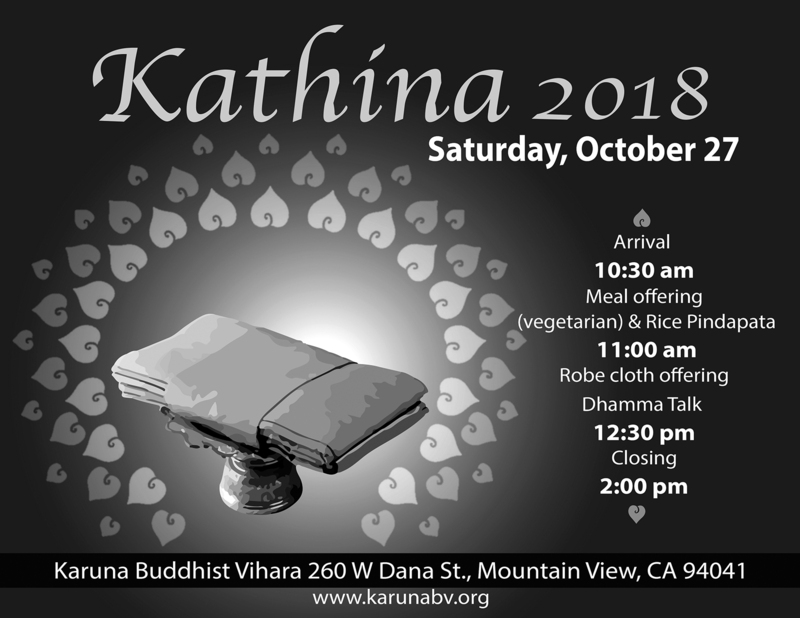 If you'd like to contribute to the Kathina, please visit the Kathina Wish List or the financial contribution page. Out of consideration for our neighbors, we encourage everyone (who is able) to park at Edith Landels Elementary School (115 W Dana St) for this event. Please use the two spaces (next to each other) in front of the garage at the vihara only for unloading.